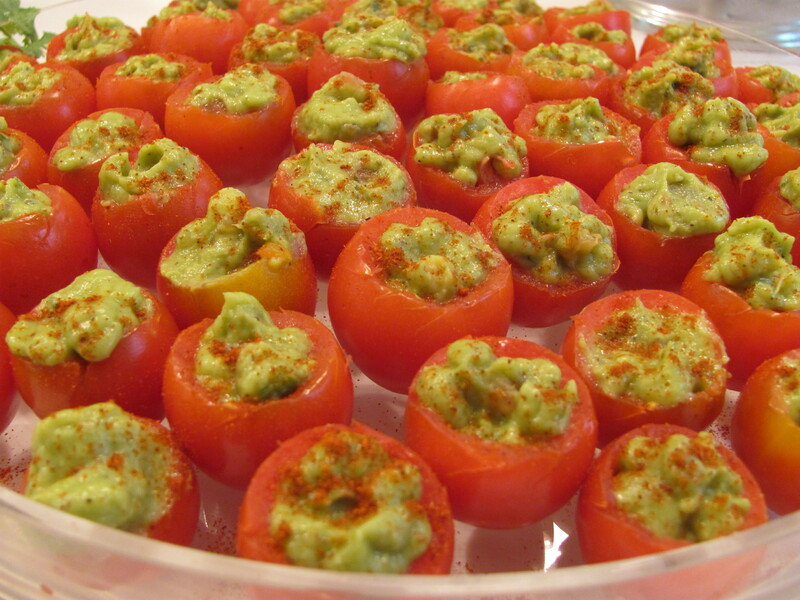 Corn Dip and Guacamole Stuffed Cherry Tomatoes – Party Food! Whenever I have any type of party, I always go overboard on the food…go figure! 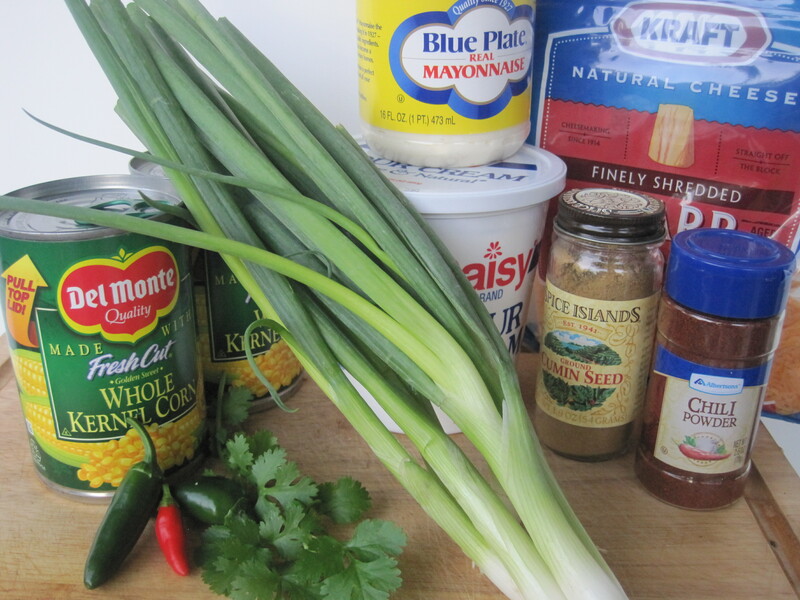 But, there is one dip that I always have and no one can resist…good ole Corn Dip. 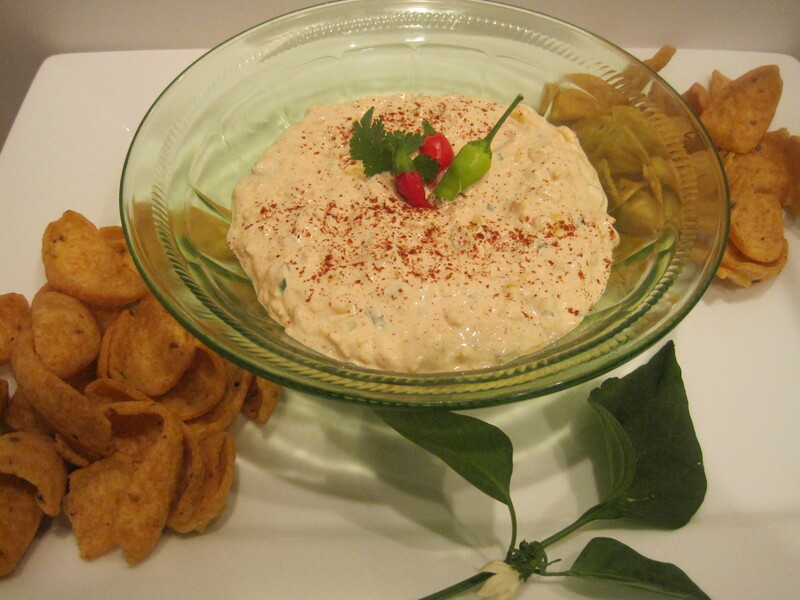 If you don’t have this recipe and have never tasted this addictive dip, then you need to copy this recipe for your next party – your friends and family will love you for it! That’s it!!! Quick and easy…but a favorite – I promise! Now, for a party food that I don’t make every time I have a party, but is one of my favorites – from years gone by…Guacamole Stuffed Cherry Tomatoes. You can really stuff the cherry tomatoes with any kind of soft herb cheese, shrimp or crab salad – anything you can think of…but my favorite is always with guacamole. With a very sharp paring knife – cut out the stem of each cherry tomato. Then, cut a little hole into the middle – removing most of the center of the tomato. Use a very small spoon, if necessary. Reserve the “scooped out” tomato pieces and juice for the guacamole. Place each tomato upside down on paper towels to drain. 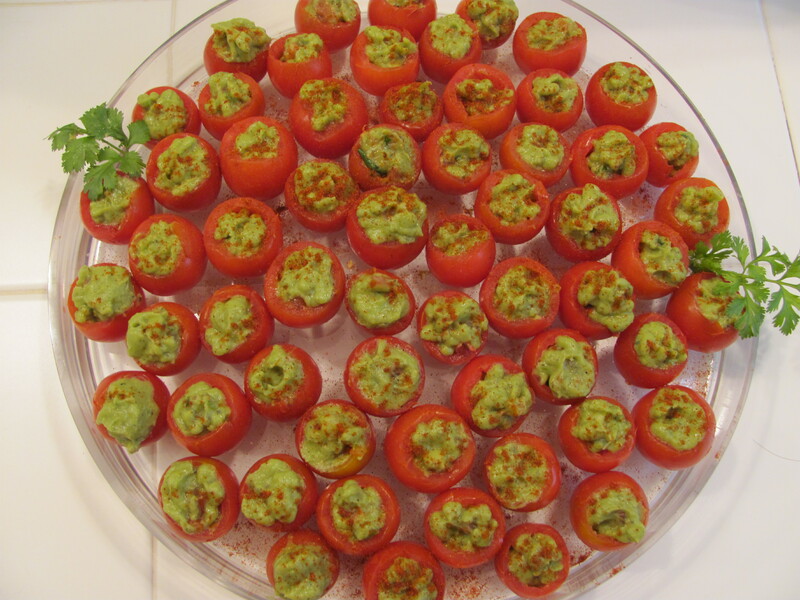 Using a very small spoon or piping bag – fill each tomato with the guacamole. Top each tomato with a sprinkle of chili powder. Put on a pretty party tray and watch them disappear!!! Party Food that works…kind of makes me start thinking about our next little event – both of these will be there, for sure!!! !